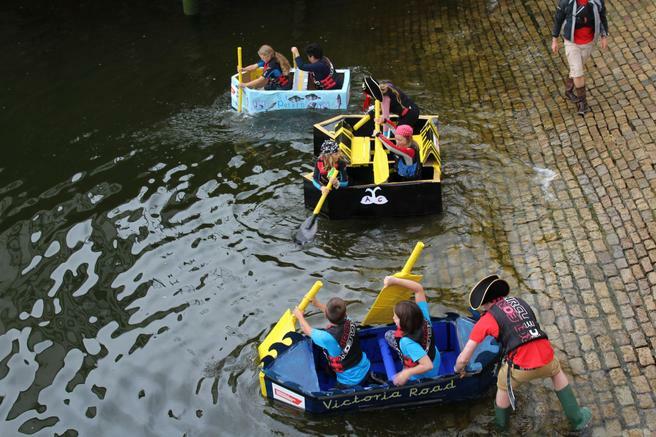 Towards the end of the summer term Dr Juliette Jackson worked with a group of children to build a cardboard boat in which to take part in the 'Cardboard Boat Race' . 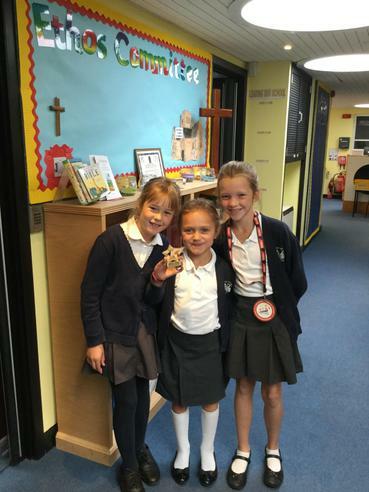 On Sunday 11th September, Maya, Marianne, Olive and Izzy all joined Dr Jackson to compete in the race, from Commercial Wharf to the Mayflower Steps and back again (without sinking!). Although the intrepid sailors from Aveton Gifford didn't win the race, they were delighted to win first prize for the best design. Well done and a very big thank you to Dr Jackson!